High-cut, protective, approach shoe designed for hikers and back-packers with heavy loads. 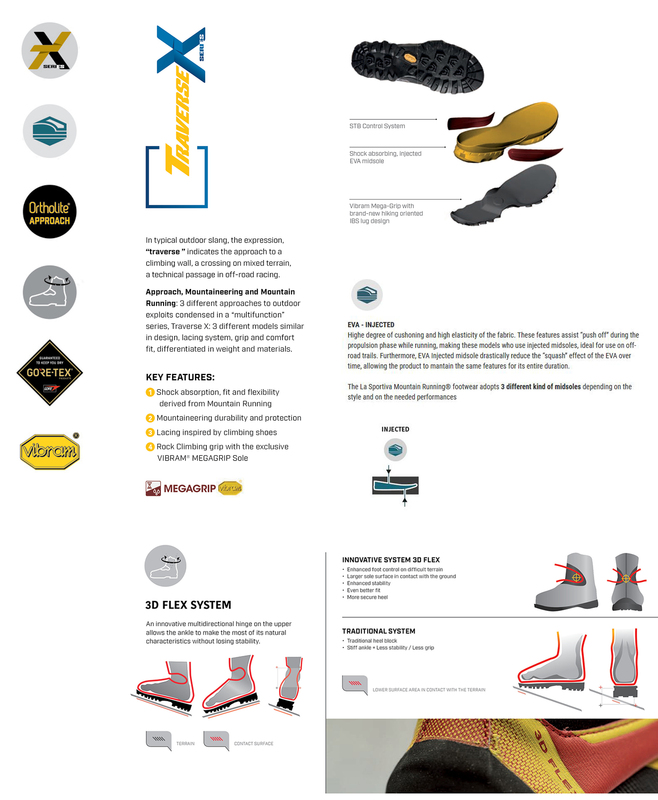 Soft and comfortable, Nubuck uppers Protective leather rand and toe cap for maximum abrasion resistance Super grippy Vibram MegaGrip compound with Impact Brake System and differientiated lugs that enhance traction uphill and provide a sure grip downhill. Ideal for both hikers and general mountain enthusiasts. Midsole: Midsole stabiliser in injected, shock absorbing EVA with STB Control inserts.